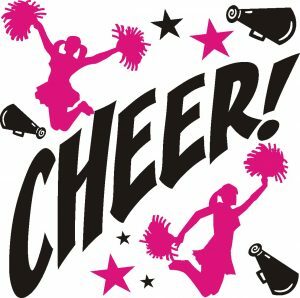 Girls Varsity Sideline Cheer Winter · Feb 1 Cheer Clinic Coming Soon! TIME: After School (3:30 p.m.)- 5:30 p.m. The LaVille High School varsity cheerleading squad will teach chants, a cheer, and a short dance to all girls that attend! Students may ride their regular bus over to the high school with a note for their driver, and we will direct them to the cafeteria. Fee also includes ticket to the game, rooter poms, and a team dinner with the high school cheer team! at either high school or elementary office. Thanks!